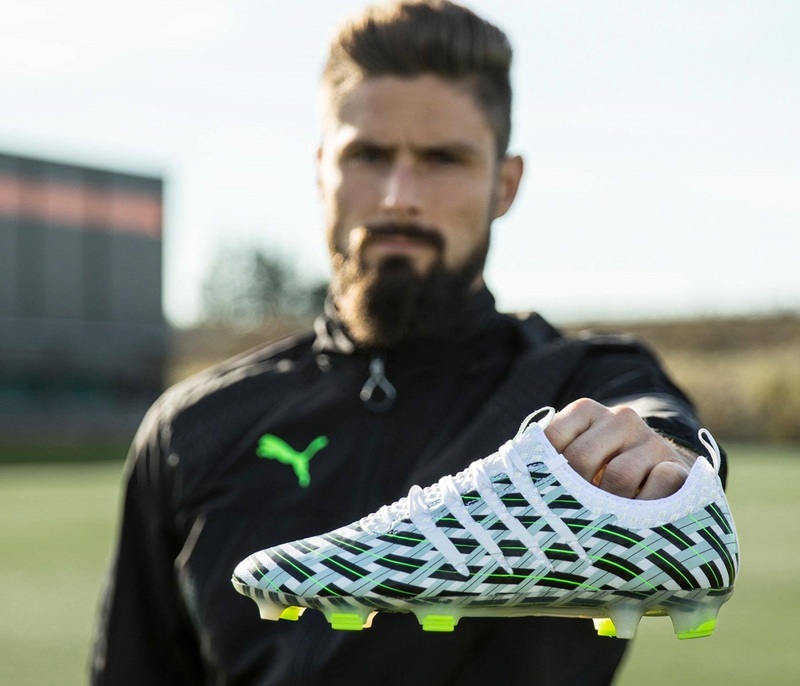 In typical Puma fashion, a camo design is being employed to help the brand introduce their latest boot release. The evoPOWER Vigor is set to become their newest high profile, power focused boot, with a full official reveal set for January 16th. And after Olivier Giroud’s performance today for Arsenal, Puma are sure to be even more excited about introducing them. He scored twice as he debuted the evoPOWER Vigor, even taking the time to celebrate his second goal with a reenactment of his scorpion goal from the weekend! What do we know about the evoPOWER Vigor? Well, they are made for the powerful, but engineered for accuracy! It all starts around the ankle, where a new spandex sock creates a barefoot and sock-like fit to slide into. The upper is a stretchable Adaplite that is combines with the spandex sock for a comfortable fit and barefoot touch. Across the upper, a combination of AccuFoam 3D dots and GripTex coating helps with ball control in different weather conditions, and are the essential elements in the boots power focus. Underfoot, the Gradual Stability Frame is again employed and with the incredible ability to flex in both directions. Conical and bladed studs add stability while not taking away your traction during your twists and turns. 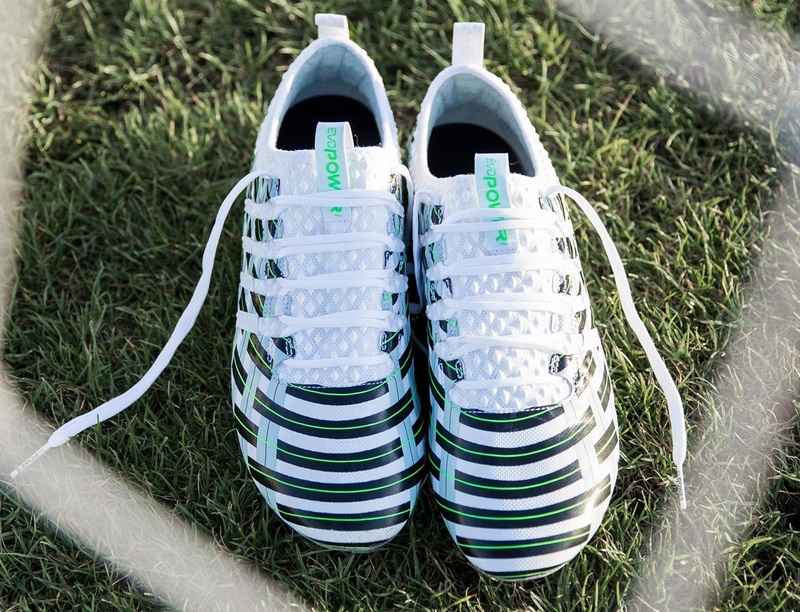 If you want to be one of the very first to own a pair of the camo version, they are available for $274.99 from soccer.com.